Le Monde says the data, based on leaks from ex-intelligence analyst Edward Snowden, suggest the US NSA agency monitored businesses and officials as well as terrorism suspects. The intercepts were apparently triggered by certain key words. The paper says the National Security Agency (NSA) spied on 70.3 million phone calls in France in just 30 days between December 10 last year and January 8, 2013. The agency also apparently captured millions of text messages. It was unclear whether the content of the calls and messages was stored, or just the metadata – the details of who is speaking to whom. And the paper did not say whether the operation, codenamed US-985D, was still in progress. 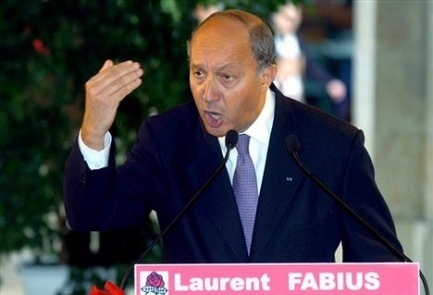 Mr Fabius announced that he had summoned the US ambassador to discuss the claims "immediately". Interior Minister Manuel Valls had earlier said the allegations were "shocking", and added: "If an allied country spies on France, this is totally unacceptable." The BBC's Christian Fraser in Paris says the outrage is largely for public consumption, because the French government has been accused of running its own snooping operation similar to the US. Le Monde reported in July that the French government stores vast amounts of personal data of its citizens on a supercomputer at the headquarters of the DGSE intelligence service. The latest revelations follow claims in the German media that US agents hacked into the email account of former Mexican President Felipe Calderon. Edward Snowden, a former NSA worker, went public with revelations about US spying operations in June. The NSA was also forced to admit it captured email and phone data from millions of Americans.